One year ago this month, Dr. Abiy Ahmed was sworn in as prime minister of Ethiopia, Human Rights Watch reports. His first few months in office saw many positive human rights reforms and a renewed sense of optimism following several years of protests and instability, along with decades of repressive authoritarian rule. But in the months that followed, growing tensions and conflicts, largely along ethnic lines, have resulted in significant displacement and a breakdown in law and order across much of the country, threatening progress on key reforms. But the progress has created new challenges. 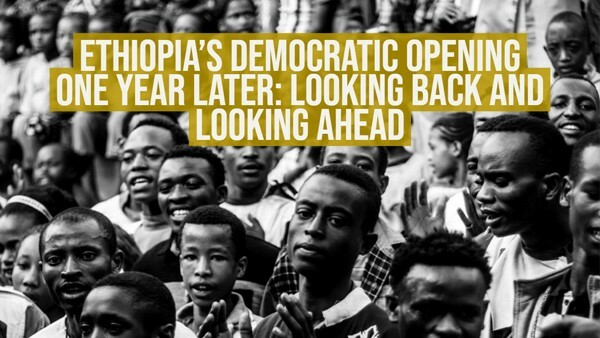 Ethiopia’s rapid transition away from authoritarianism unleashed waves of dissatisfaction and frustration that had been crushed by the ruling party for decades. 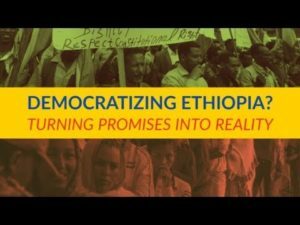 If Abiy (Ethiopians are generally referred to by their first names) can’t maintain law and order and come up with a plan to address the causes of that anger without repressive measures, his country’s considerable gains will be threatened…. Nevertheless, the sweeping changes underway in Addis Ababa should prompt the U.S. to reassess its own engagement with Ethiopia and the Horn of Africa at large, argues Daniel Benaim, a senior fellow at the Center for American Progress and a visiting assistant professor at New York University’s Program in International Relations. Whether Washington’s goal is stabilizing the Horn of Africa or competing with China, the fragile democratic transition in Ethiopia presents a clear opportunity, he writes for World Politics Review. 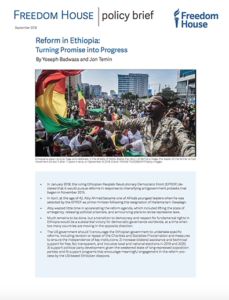 The United States and its allies can best support Ethiopians by continuing to offer praise for the reforms while also asking sometimes difficult questions about how Abiy’s government plans to restore law and order and address underlying grievances, and by determining what role the United States and other allies can play in making this happen, says HRW’s Horne. If it succeeds, Ethiopia’s political and economic liberalization could make the country a natural and close American ally, adds Benaim, who previously served as Middle East adviser and foreign policy speechwriter to U.S. Vice President Joe Biden and Secretary of State Hillary Clinton.